Like most people I love to travel and I also love cool stuff, which equals up to me being a hoarder. 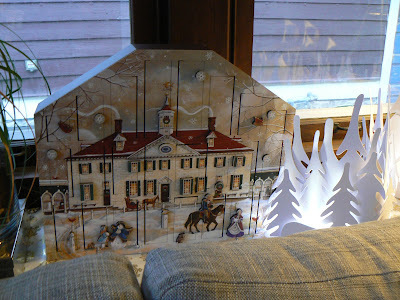 I've written about my travel souvenirs here and here, but this post is specifically about Christmas themed souvenirs. If you have no idea what I'm talking about, congratulations! You don't have a retail problem! If you do, then like me you will shop for Christmas crap year round. I like to buy stuff when I'm visiting a new city. Usually I try to find something that is a nod to the place I'm visiting without being obvious and that I will either use or will fit in with home's style. A pretty perfect example is this hook I bought in New Orleans. Fleur de lis are everywhere in New Orleans so this hook is great symbol of the city and it is functional (Bob's leash hangs on it). Plus, it reminds me of my time in the city without actually saying 'New Orleans' all over it. But sometimes you go to a new place and you can't find anything you like or everything is overpriced or ugly... that is when I hit the Christmas section. (Of course, normal people would just leave without buying something.) Yes, every gift shop or tourist location has a Christmas section. If you've never seen a Grand Canyon Christmas ornament/snow globe/stocking than you've never been to a Grand Canyon tourist shop. 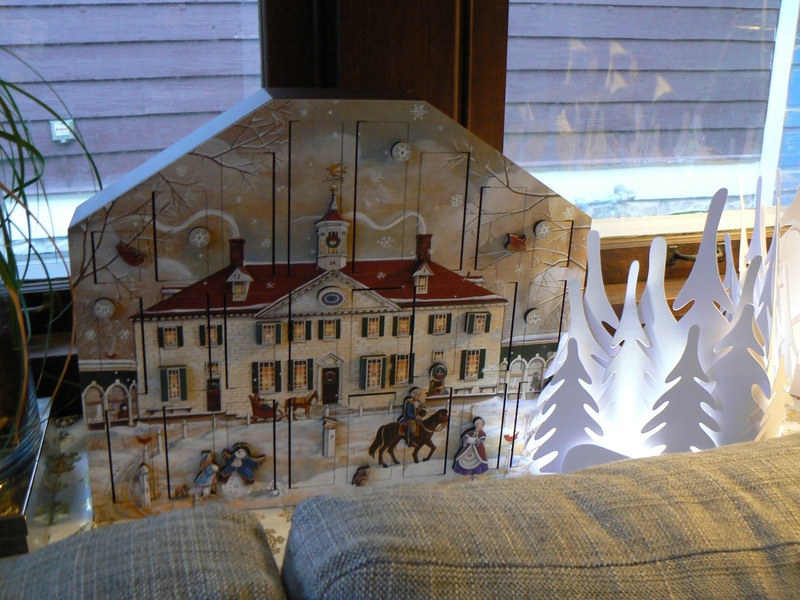 I love Christmas because it is the one time a year where I just fully embrace kitsch in my life. No other time of the year do I have so much little crap sitting out, but at Christmas it's fun to just go with it. So Christmas + Tourist Souvenirs = Kitsch Fest 3000. Do you need an ornament of the Washington Monument? Absolutely not, but if you go the Washington Monument than an ornament is a better souvenir than a crappy little statue you'll never put out. At least at Christmas you can have out little weird things and no one will question it. So far I've only gotten one Christmas souvenir, but I'm sure over time, I'll acquire more. 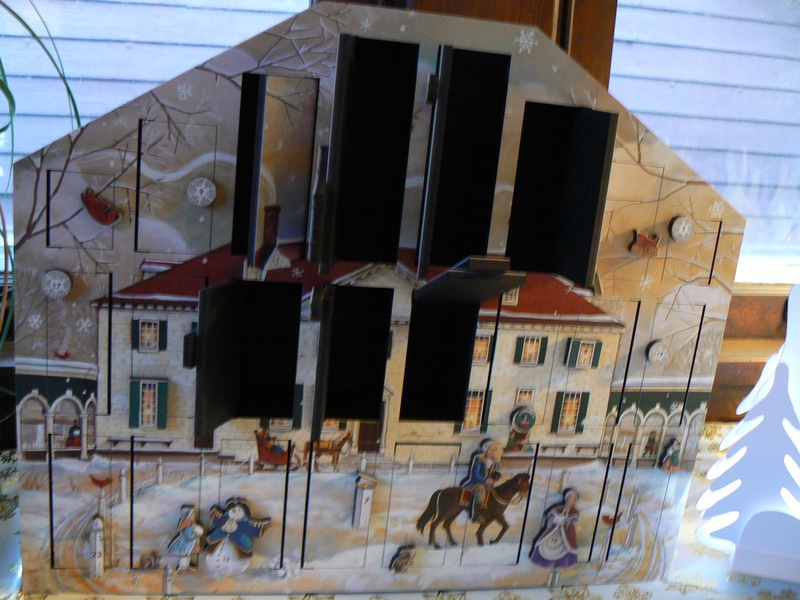 This is an advent calendar that my Dad bought for me on a trip to Mt Vernon. We had talked about going there ever since I had moved to DC and we managed to go the last month before I moved back. It was a fun trip (we also went to Monticello) and when we saw this advent calendar we both loved it. He bought it for me as a sort of heirloom because it is a really large and well made piece. I don't really use it yet because I'm way to lazy to add things to it for just myself, but someday I'll use it. It is pretty country and it's not something I would normally have in my house but at Christmas anything goes and the bonus is that it reminds me of a fun trip I took with my Dad.